Home » F.M. Browns Bird Lovers No Waste Blend 6/7 Lb. F.M. 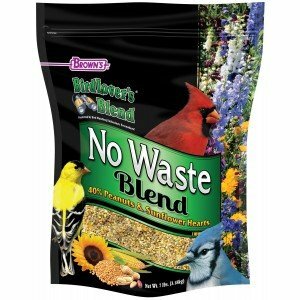 Browns Bird Lovers No Waste Blend 6/7 Lb. The shells have been removed from each tasty ingredient, so every morsel is 100% edible food! Sunflower Kernels, Shelled Peanuts, White Proso Millet (Hulled) and Cracked Corn.